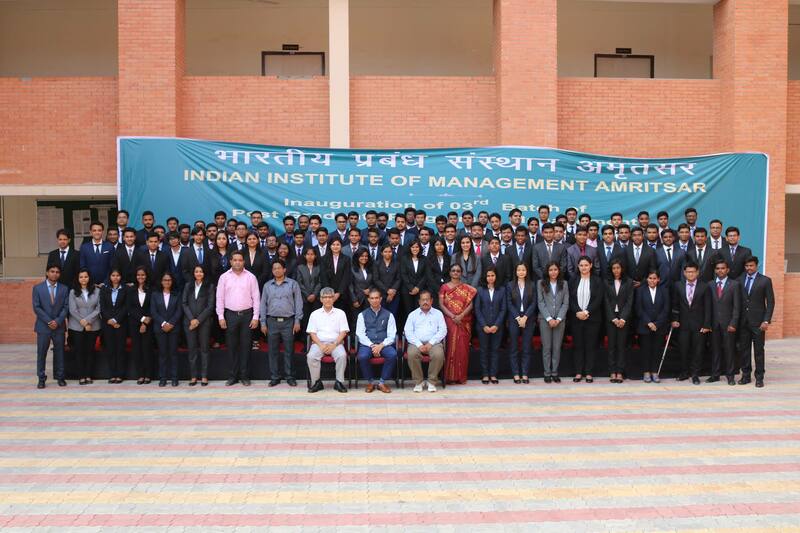 On 18 October 2016, the students of IIM Amritsar had an opportunity to interact with Mr. Siddhartha Pahwa, CEO of Meru Cabs. From this session, students had learnt the essence of entrepreneurship such as why long term vision is so important for a start-up, importance of scaling the business at the right time and much more. The topic of discussion was’Start-ups: Deliverables and Challenges’. Mr Siddhartha started the discussion by stating how start-ups are defined and the challenges faced by them. He emphasized that fact that to run a start up, one should connect all the dots and think beyond the boundaries at the same time. The students learnt that the key deliverables in any business venture can be explained by the theory of 3 C’s which are Customer service improvement, cost optimization and cash to cash reduction. He quoted that “Sales is vanity, profit is sanity and only cash is reality”. Mr Pahwa discussed the ever improving performance of Meru Cabs using performance indicators that were analysed through the feedback of drivers and clients. He also shared the ways by which his experience of cost and inventory optimization while working in the ice-cream division of HUL as well as in Abott Laboratories helped him in his decision making process. Mr. Pahwa explained that cost is something that is not only limited to a company but is also present in the value chain and hence value optimization is a must for a successful venture. The session was followed by an interactive question and answer round. The students were enthralled by his knowledge and gained lot of insights about how to manage and develop an idea into a successful start-up.